KIHOSEKI, TENSHOSEKI, BLACK SILICA, etc. 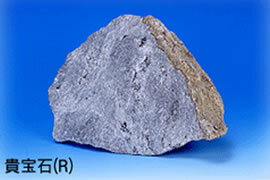 are often used as a ore of slabs of bedrock bathing. The most important point to choose the stone is the wavelength of far-infrared rays. The water molecules resonate with the light with a wavelength of 6.27 micron. Our body is constituted with about 70% water and others. So, we think this 6.27 micron far-infrared rays is the key factor. KIHOUSEKI emits this 6.27 micron far-infrared rays very strongly. The key of a good bedrock-bath is how to produce an effective environment for human bodies.This environment is made by temperature, humidity and ion balance. Floor heaters and tube heaters are used for temperature control. MJP Co., Ltd. can offer the floor heater designed only to Ganban-yoku. Room temperature is raised with the far-infrared tube heater which can carry out automatic control with a full automatic room temperature control device. MJP Co., Ltd. can offer the humidifier which makes 2-3 micron fog with a number of negative ions from supersonic vibration. The room humidity can be adjusted by 1%, and also be washed automatically. 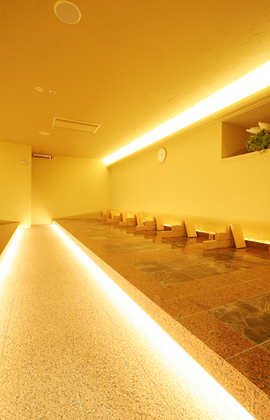 It can reduce personnel costs and keep the ganban-yoku room effective. The bedrock-bath needs to make space with more negative ions than a positive ions. MJP Co., Ltd has studied many years to make a scientific true space that has negative ions more than positive ions. 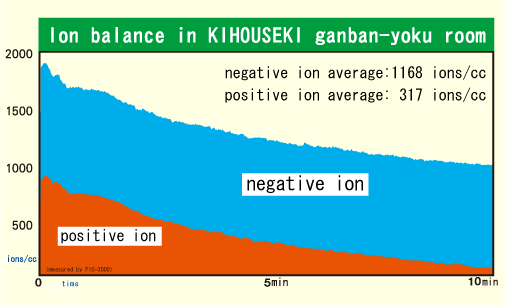 This graph is the proof that there are more negative ions than positive ions in KIHOUSEKI ganban-yoku room. We can advise about ganban-yoku from the ahievement of 140 facilities in Japan and 12 facilities overseas.